The Foreign Ministry confirmed Tuesday that the US ambassador to South Korea visited Cheong Wa Dae last month, but declined to comment on a news report that the top envoy’s visit was designed to pressure Seoul to pay more for the US troops stationed here. “Our government is making efforts to reach a reasonable agreement, mutually acceptable, as early as possible on the basis of mutual respect and understanding (with the US ally),” ministry spokesperson Noh Kyu-duk said at a regular press briefing. 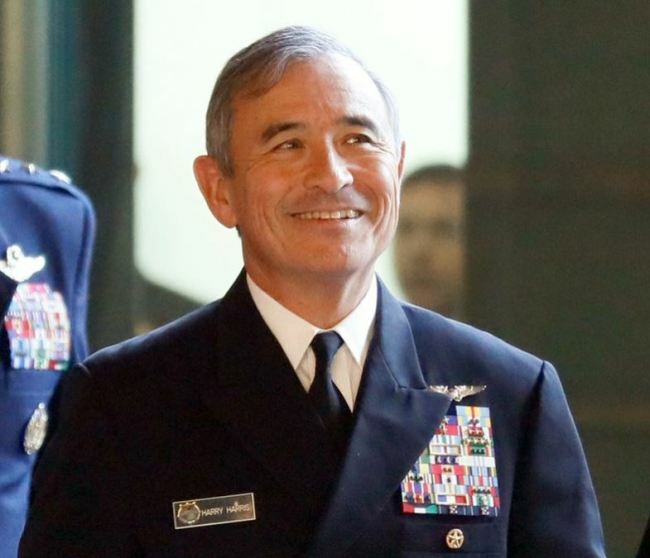 US Ambassador Harry Harris met with national security adviser Chung Eui-yong and asked the government to accept a sharp increase for financial costs related to the presence of the 28,500 soldiers of the US Armed Forces, according to a local media report. Concerns have been growing over the protracted cost-sharing negotiations, with some pointing out that US President Donald Trump may use the withdrawal of US troops from South Korea as a bargaining chip in nuclear talks with North Korea. “The USFK issue is not a matter to be discussed in the nuclear talks with North Korea. It’s a matter of the South Korea-US alliance,” Noh said. Despite 10 rounds of negotiations on the Special Measures Agreement in 2018, Washington and Seoul have not reached an agreement on the issue due to Washington’s opposition to proposals so far. The US demands that South Korea shoulder a greater proportion of defense costs, as much as 1.4 trillion won ($1.2 billion) compared to 960 billion won last year, according to Hong Young-pyo, floor leader of the ruling Democratic Party. Seoul is seeking to seal the deal at under 1 trillion won. On Monday, Foreign Minister Kang Kyung-wha said there is a “very big” gap between the allies on sharing USFK costs.